New Tasmanian Motorsport Hall of Famer Greg Crick. Crick started racing at Symmons Plains in 1971 and won the Tasmanian sports sedan championship in 1986 and ’87, before progressing to the national title in 1990 in a V8-powered Honda Prelude SS. 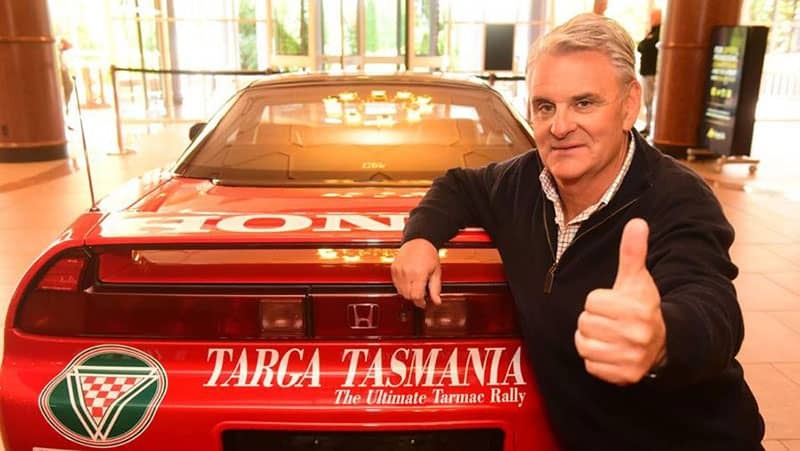 In 1992 Crick and navigator Greg Preece won the inaugural Targa Tasmania event in a Honda NSX and defended the title the following year. Crick tackled the Bathurst 1000 14 times, which included four top-10 results with different co-drivers. In 2006, he won the Australian GT championship in a Dodge Viper GT3 ACR and finished fourth in the 2011 Bathurst 12-Hour GT Race in a Porsche GT3 Cup S.
His best result in the 12-hour race was third with V8 Supercar drivers Will Davison and Jack Le Brocq in 2014 when the car hit an errant kangaroo, causing Crick to suffer serious carbon monoxide poisoning, which was to eventually bring his racing career to a premature end. Barry Oliver calling the pace notes for Jim Richards during his stellar career. Oliver’s first experience of motorsport was aged 11 in 1955 when his father took him to the Longford road racing circuit, making a life-long impression. His passion for all forms of motorsport saw him given the opportunity to be course commentator at Symmons Plains for the Tasmanian round of the 1990 Australian Touring Car Championship. He also commentated on circuit racing, karting, rallies, speedway and drag racing and was became the voice of the Australian Touring Car-V8 Supercars Championship, V8 Development Series, Australian Formula Ford championship and Rally Australia. 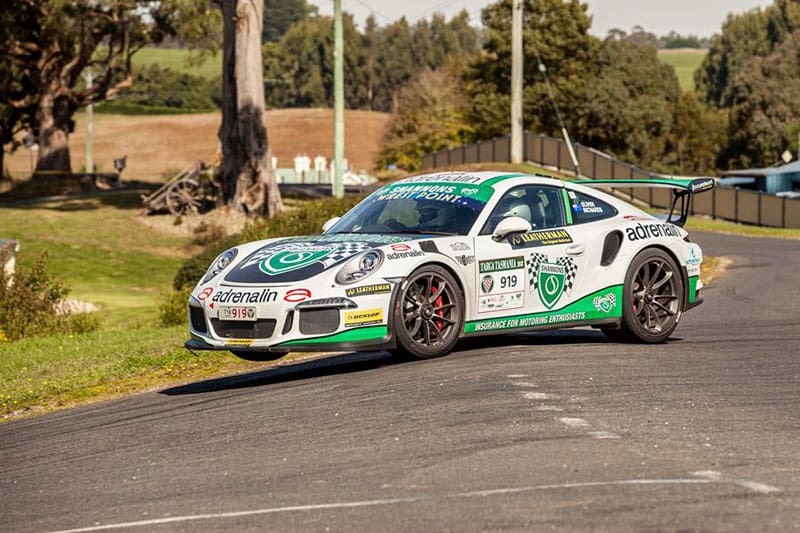 Oliver has also been heavily involved in motorsport officialdom and was chairman of the Confederation of Australian Motor Sport Tasmanian council and the state race advisory panel. Over 25 years, Oliver navigated for Jim Richards as the pair contested 78 tarmac rallies in Australia and New Zealand, only failing to finish on seven occasions, resulting in 21 wins (eight of those in Targa Tasmania) and 43 podiums. The long-serving motorsport columnist in The Examiner, Oliver was inducted into the Targa Tasmania Hall of Fame in 2008, has also been a member of the Motor Sports Club of Tasmania since the early 1980s and was honoured with life membership in 2008.